The beautiful coastal location of Port Douglas lends itself perfectly to fishing. Whether you prefer to drop a lazy line in from the shore or love to get out on the water for some more serious fishing, Port Douglas offers some of the best reef fishing in the world. A sensational contrast, Port Douglas fishing spots are unrivalled by anywhere else in the world. Weekend warriors will be happy with a number of the inland waterways and estuaries, however Port Douglas fishing charters are where the real action is. 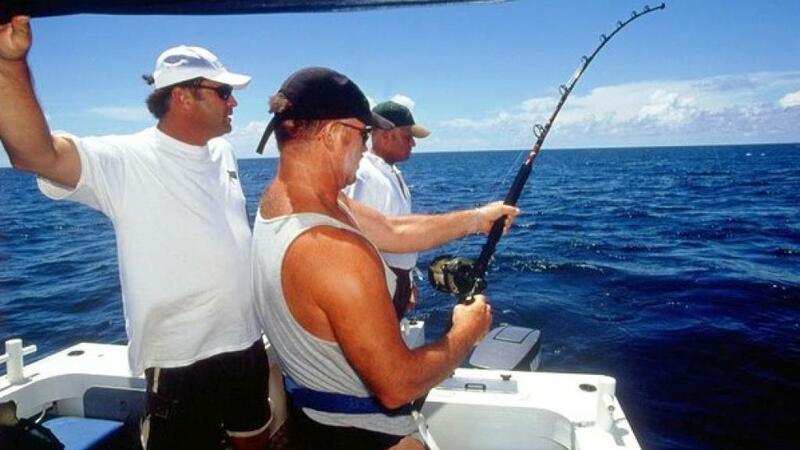 Regardless of whether you fish by fly, lure, plastics or live bait, you can be sure of a memorable fishing experience in Port Douglas. Close to shore you'll find Red Emperor, Coral Trout and Sweet Lip while Mangrove Jack, Fingermark and Barramundi favour the estuaries. Australia's northern coast offers the best fame fishing, with prized sport fish like the elusive black and blue striped Marlin the holy grail of catches. With Marlin season running from October to March, there are some might catches on the cards for serious anglers. Some of the best land fishing spots in Port Douglas include Shipwreck Wharf, Rex Smeal Park, the southern end of Four Mile Beach and the Marina Road Wall at dusk. Right on the doorstep of the Great Barrier Reef, Port Douglas is the perfect base for reef fishing and most boast offer access to the reef in just an hour and half from the shore. Home to a wealth of fish species, the reef offers many different types of game and table fish, over 220 species in fact. For something a little closer to shore, Dickson Inlet offers a diverse estuary ecosystem with superb sport fishing. Use bait fish for an exciting battle between the predatory pelagic fish that reside in the waters. Thanks to the tidal estuary, you can always be sure of a regular supply of fish species.